Hope's Cafe: SFF #5-MyHeadCoverings.com Review and Giveaway!! Hey everyone, and welcome back to the 5th feature in the Spring Fashion Fling! I hope you're enjoying this as much as I am-I have loved the opportunity to brighten up my wardrobe for Spring, and encourage you to check out all our sponsor's. They have some wonderful products to offer! Today's feature is MyHeadCoverings.com-a great place to find hats, headbands, bandanas, headscarves and just about any other head covering you can think of! 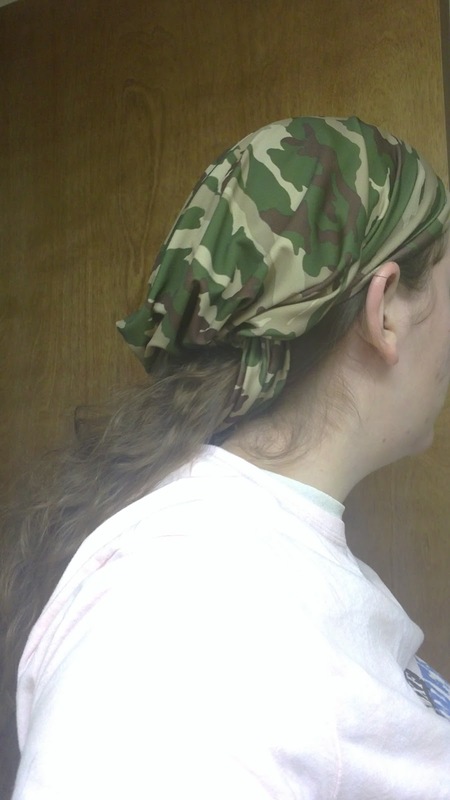 I received a package that included a Beret, Pre-Tied Bandana, Soft Headband, and Kufi Hat. I tried out the Camoflauge pre-tied bandana first. This is made of a soft, stretchy material, and is the perfect accessory to any casual look. Goes great with a denim skirt and t-shirt! I actually tried this a couple different ways; with my hair down, and tucked into the headband at the back. Either way looks great, and I really enjoy the style! 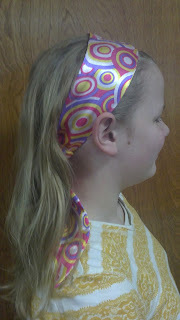 The Headband with Tails is a bright, fun girly print, and M immediately claimed this one. 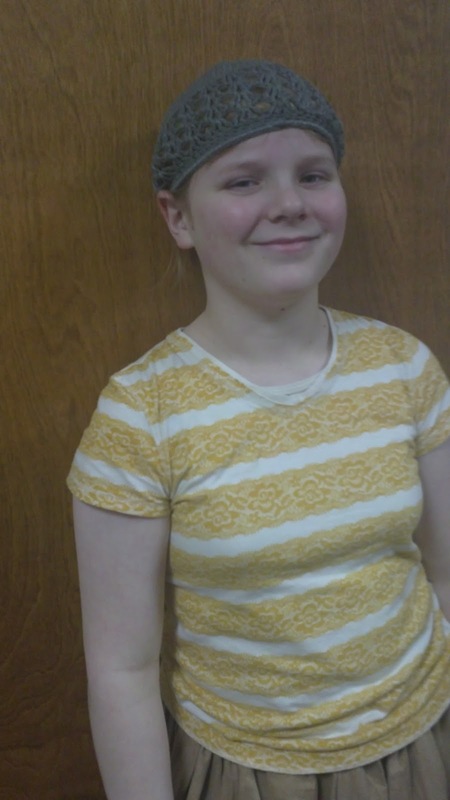 She loves headbands, and the colors are right up her alley, so it was a perfect match. This adds a little more flair to your look than just wearing the normal plastic headband. M loves the tails! The beret was another piece that all of the girls in the family loved. It's a classic look that really goes well with any outfit-casual or dressy! 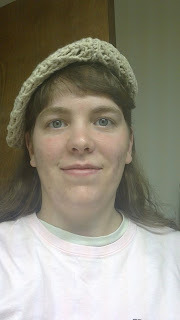 The soft knit beret is very comfortable as well, and the creamy tan color matches just about anything in my closet. Lastly, the Kufi hat. I have to admit, I have seen these hats before, but I never knew what they were called. It is a wonderful way to finish off your style. The crocheted design around the bottom of the hat allows your hair to peek through, which I think makes it look really cute. The Kufi is also very comfortable, and can be worn all day without even realizing it's there-excpet for all the compliments you'll receive! Here's a shot of M showing off the Kufi. One of my readers will receive a $20.00 Gift Certificate to MyHeadCoverings.com! I love their knit hats! I love the Black and White Berets with Floral Appliques. I entered the Blood Orange Star Fruit Green Tea giveaway, Enjoy haor products giveaway and the striped shirt giveaway. I love the Cable Cap with Braid and Buckle. commented on Glade home fragrance. I entered Striped Shirt for Mommy and me.